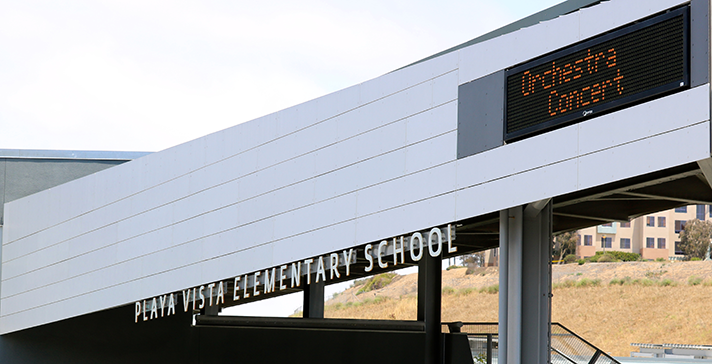 Playa Vista Elementary offers an after school orchestra program with classes for all levels from Grades 1 – 5. The program is directed by Larry Newman and classes are taught by Children’s Music Workshop. Weekly thirty to forty minute classes are offered after school every week from October through May. Enrollment is limited and priority is given to the earliest applicants. A limited number of scholarships are available to families that qualify. To register or for more information, please visit www.jointheorchestra.com.